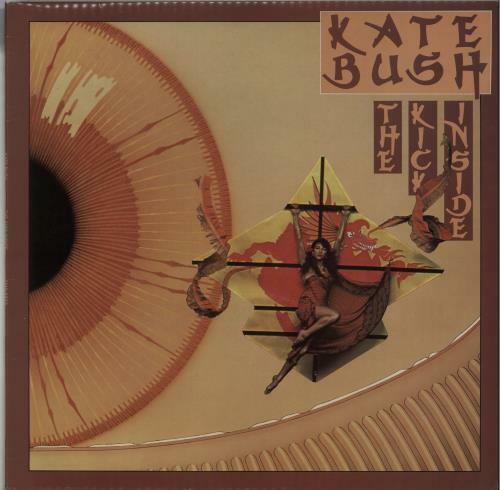 KATE BUSH The Kick Inside (Debut 1978 UK first pressing 13-track vinyl LP, including the classics The Man With The Child In His Eyes & Wuthering Heights, with 'Remember Yourself!' etched in the side one run-out. The fully laminated picture sleeve shows minimal shelfwear and the vinyl remains near 'as new'. A fantastic copy of this classic album! EMC3223).